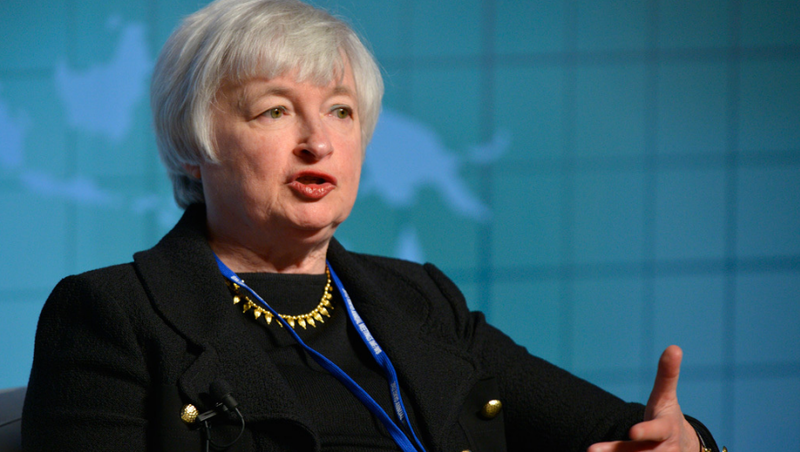 Former Federal Reserve Chairman Janet Yellen. Image by Day Donaldson. 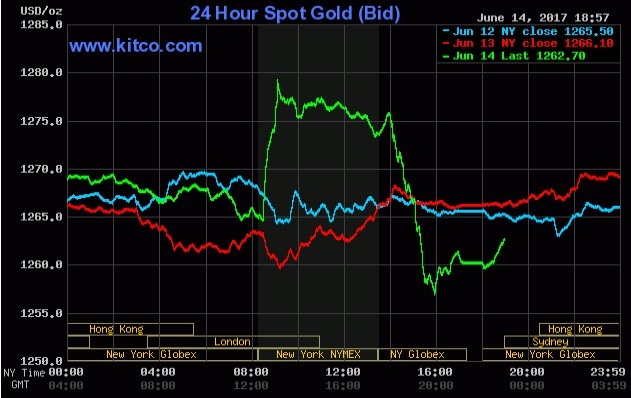 Financial markets and gold investors were jittery at the start of the trading day, with the Fed poised to raise interest rates for the second time this year. 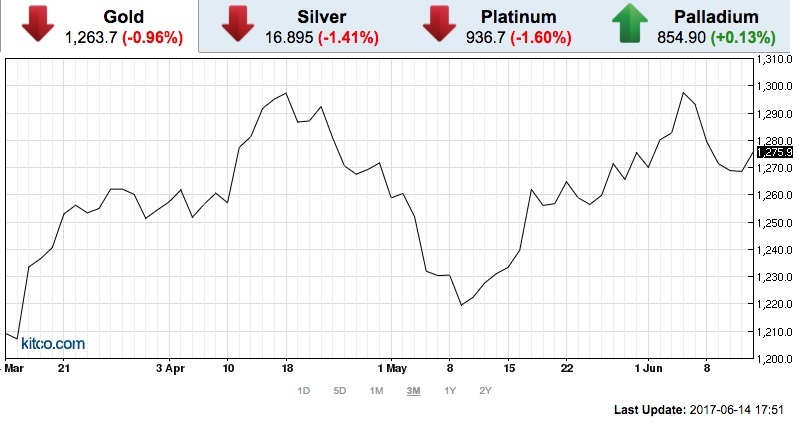 But when it happened, the precious metal's ultra-sensitivity to interest rate hikes was not much of a factor; the daily spot price finished the day down just $3.40 from the previous session, to $1262.70 an ounce. At a meeting of its Federal Open Market Committee, the U.S. Federal Reserve, or Central Bank, approved a quarter-point increase in its benchmark target, moving the rate from 0.91% to 1.25%, despite inflation running below the bank's targeted 2%. The Consumer Price Index currently shows annual inflation rising 1.7%, its lowest increase since May of 2015. However Fed Chair Janet Yellen said that condition are in place for prices to eventually pick up. The Fed also detailed how it plans to unwind its $4.5 trillion balance sheet, which is a bundle of Treasuries, mortgage-backed securities and government agency debt. It said it would start reducing the balance sheet this year by putting a limit each month on how much debt it would buy. "The committee currently expects to begin implementing a balance sheet normalization process this year, provided the economy evolves broadly as anticipated," according to a post-meeting statement quoted by CNBC. The rate hike and debt-reduction measure are somewhat surprising given that economic growth is unlikely to reach the 3% projections called for by the Trump Administration, notes CNBC, with retail sales and payrolls growth struggling over the past few months. However unemployment is expected to decline this year more than expected, to 4.3% from an earlier 4.5%. Precious metals futures were mostly down today on the rate hike. Gold for August delivery dropped 0.96% to $1263.70, July silver slipped 1.41% to $16.89, and platinum for July was down 1.60% to $936.70. September palladium futures were up 0.13% to $854.90 per ounce.